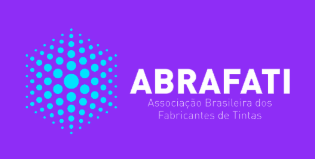 SidleyChem will participate in the 2019 Brazilian Coatings Exhibition (Abrafati 2019). Sidley Chemical is specialized in the production, development and sales of coating/construction chemicals. We are dedicated to provide the professional solution and service to our customers in global market. Our main products include : Hydroxypropyl Methyl Cellulose, Hydroxyethyl cellulose, Sodium CarboxyMethyl Cellulose, Starch Ether, Calcium formate, and Redispersible Powder so on. Hydroxyethyl cellulose is widely used in coating industry such as latex painting, stone-like coating and texture painting due to its excellent compatibility with other materials like pigments, fillers and salts, high rheological properties and pseudo-plasticity, good workability and leveling performance. Owing to the special chemical structure of Starch ether, it can significantly prevent the sagging of thick-layer mortar and improve the property of anti- sliding in tile bond/ adhesive. Calcium Formate is a kind of early strength agent which can accelerate the coagulation and hardening of concrete and mortar. Redispersible polymer powder can improve the adhesion of dry mortar to various substrates and ensure the weathering resistance under various conditions. Cellulose ether has an excellent water-retaining ability in mortar/putty, and it can adjust the consistency and thixotropy of mortar/putty. As one of the leading mortar additive suppliers in China, Sidley Chemical not only supplies quality products, but also aimes to provide customized services to customers. We own technical research center and full set of testing equipments to help customers with product analysis, new product development and formulation optimization, etc. ABRAFATI is the leading event for the coatings supply chain in Latin America, as well as one of the top-three most important in the global arena which will provide an ideal opportunity for people to gain a panoramic view of the megatrends dictating the pathways for the coatings industry and the broad range of innovations developed with a view to keeping up to speed. It will be held on 1-3, October in 2019 in Sao Paulo, Brazil. 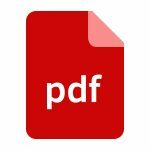 Exhibitors like: Dow chemical, Basf, Bayer, Dupont, Evonik, Eastman, Clariant, Merck, Lanxess, Rhodia, Rohm and Haas, BYK and many other multinational chemical giants from comprehensive chemical industry will attend this tradeshow. Sidley Chemical will bring you the most competitive and high quality products and better service for customers at the exhibition.